Suzy Patchett, a researcher in optics and photonics with our Advanced Development team where she spends her days finding solutions for imaging problems with new technologies. Shanila Wiratunga, a design specialist, whose focus is Field-programmable gate array (FPGA) code development. She writes, simulates and confirms code for FPGAs. Melanie Ledgerwood, Ph.D., who is one of our Research and Development Managers. She manages a large team of sensor, camera and software designers, as well as process, test, and new product introduction (NPI) engineers, and test technicians. 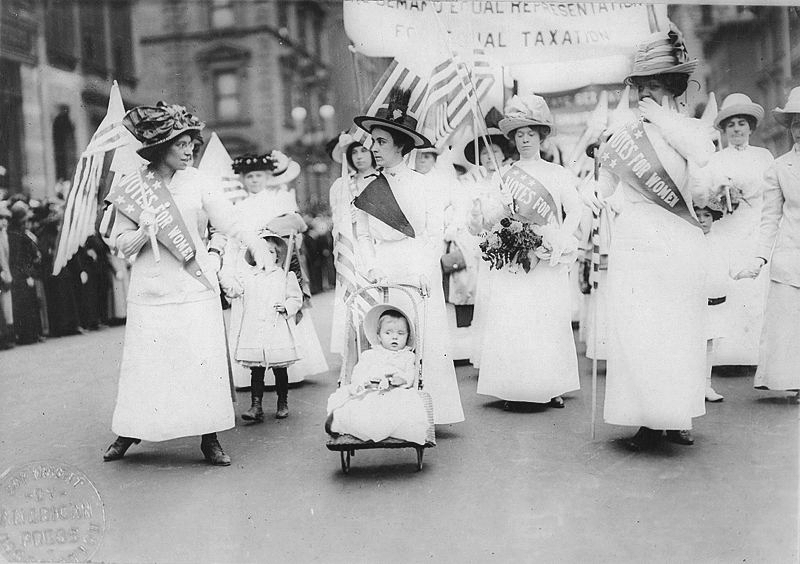 International Women’s Day has been an official event since the early 1900’s, when women marched city streets demanding the right to vote. This right is still a pressing issue around the globe, as Saudi Arabia just passed legislation to allow women to vote and run for office in 2015. In 1977, the United Nations (UN) General Assembly adopted a resolution proclaiming a UN Day for Women’s Rights and International Peace to be observed by its Member States. And in 1996, the UN commenced the adoption of annual themes, which are rooted in IWD’s values and ethos. This year’s theme is #PressforProgress, a strong call to motivate and unite friends, family, and communities to think, act, and be gender inclusive. To help focus individual and organizational efforts the IWD website has segmented the theme into smaller calls to action. This breakdown allows individuals to concentrate on one section of pressing for progress on gender parity in their own communities. We asked our interviewees who it was that encouraged them to embody this call to action, and received answers varying from university professors, like Ursula Franklin, to women who changed history, such as Julie Payette. How does #PressforProgress apply to the STEM industry? Since the creation of IWD, there have been huge strides made in creating gender parity throughout the world, from the right to vote, to the right to work, to better access to attend college and university. In Canada, there has been a large increase of women attending university, but this increase isn’t reflected in the classrooms for STEM programs. These numbers have led to a static gender gap within STEM industries. To help close this massive gender gap in STEM studies, organizations, governments and post-secondary institutions have taken on the challenge of getting more females to enter into the field. From increased funding for women in STEM, to adding more STEM activities into the elementary curriculum, to setting up workshops and programs that focus skill building, mentorship and networking such as HeforShe, Women in Computer Science and Code like a girl. While these initiatives have had some success in closing the gender gap within STEM undergraduate programs, the challenge now lies with STEM-based businesses where women are not yet equally represented in senior management or executive positions. There is good reason to move forward on this front “According to McKinsey consulting firm, ending the gender gap in business would create $12-trillion in wealth. The firm has also found that companies with more women at the top do much better financially. 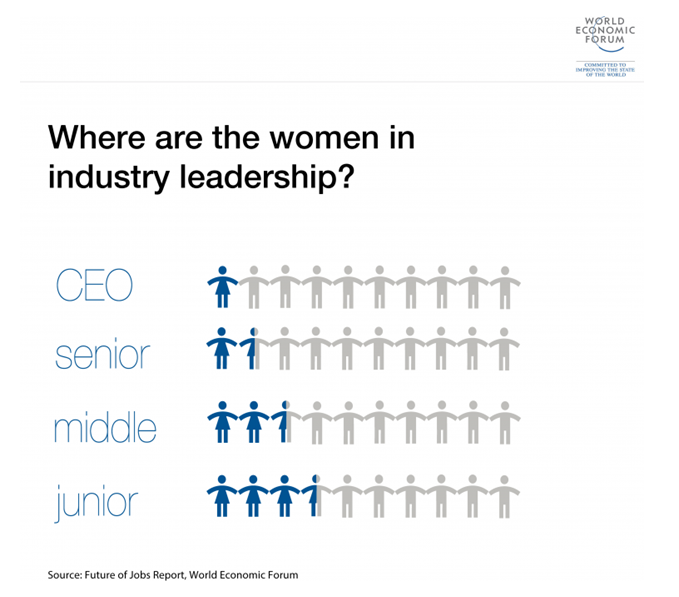 How can STEM-based companies introduce gender parity into their businesses? While the executive suite (c-suite) gender gap may always exist, there are a large number of practices that businesses can introduce to help close the gap and lead to more diverse teams which elicit better results in this article we will focus on three. First, STEM-based companies can introduce programs that are similar to those being implemented at educational institutions, which help women gain skills, confidence, and networks. Second, companies can implement programs, which focus on placing women in minor leadership roles, progressively giving them more and more responsibility as they build skills and confidence. Third, companies can set up formal or informal mentorship programs, which build relationships between management and junior employees. Having programs that aid in breaking down the mentality that leadership is a “man’s role” and fostering women’s confidence in self can all lead to closing the gender-gap and making more successful teams. The final question we asked our interviewees was what words of advice they would give to individuals looking to enter their field of study or work. With all this wisdom in mind, please celebrate IWD 2018! In some countries, this day is considered a national holiday, which serves a similar purpose to Mother’s Day where men give the women in their lives gifts. In others, the day is marked by events that promote gender equality, through empowerment, skill building, and networking, as well as marches rallies and parades. Teledyne DALSA is committed to programs to increase the inclusion of under-represented and minority groups, including the enablement of persons with disabilities, and the advancement of women in professional fields, particularly in science, technology, and engineering.